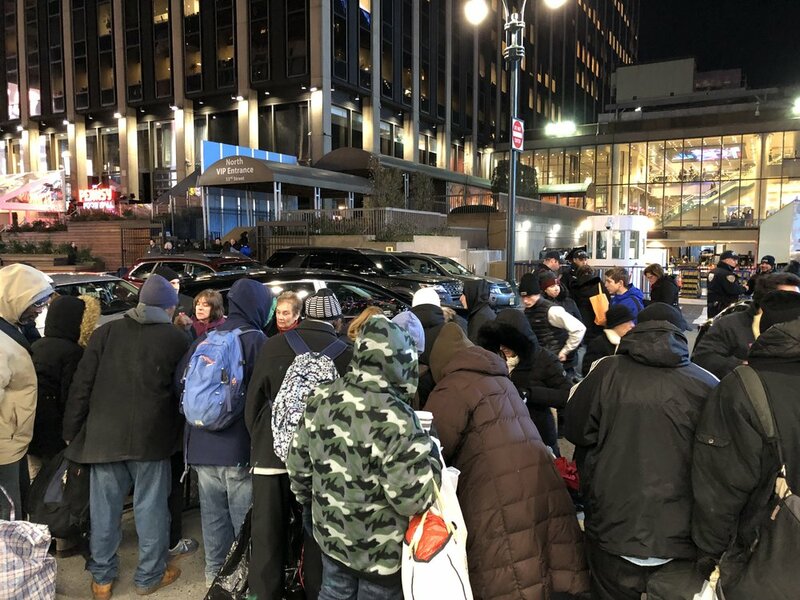 Our guests were lined up and awaiting our arrival for last night’s soup run in Manhattan. They helped us set up tables and cleared a path on the sidewalk. There was an energy in the air that made for an enthusiastic crowd, anxious to see what we had to offer them. 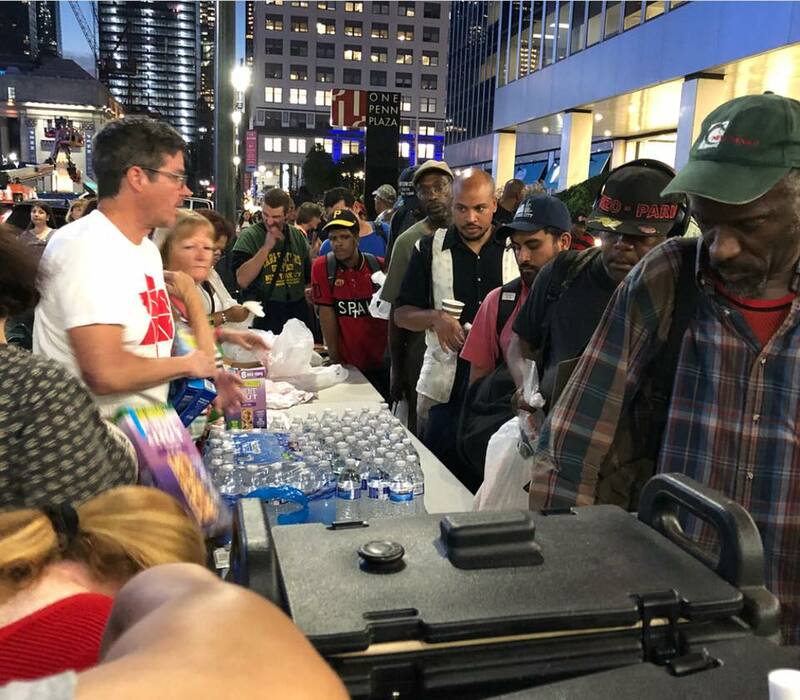 We distributed more than 100 turkey sandwiches, snacks and lots of bottles of water- for which our guests were particularly appreciative on a hot summer night. While they liked the sandwiches, one guest asked when we were serving the lemon chicken for which we have become "famous"! 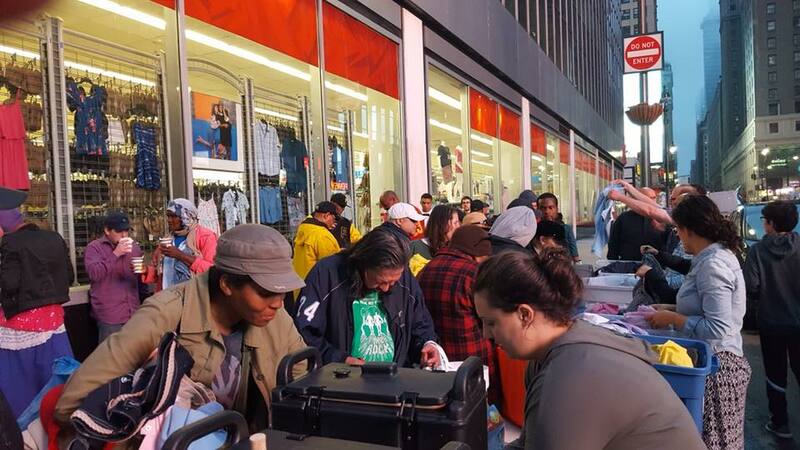 We distributed socks, always the number one requested item, men’s and women’s underwear, shirts, shoes and toiletry kits. 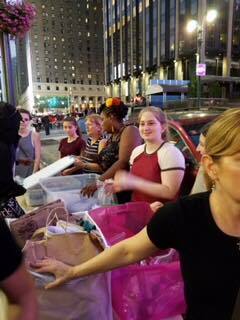 It may have been a record night for speedy distribution - all clothing was gone within 20 minutes. As we never know what to expect or what item we might be able to provide to our guests that is just a bit extra special, last night was no different. A gentleman lost his sunglasses during the soup run and was upset because he has a light sensitivity issue and needs to wear sunglasses to diffuse the light. 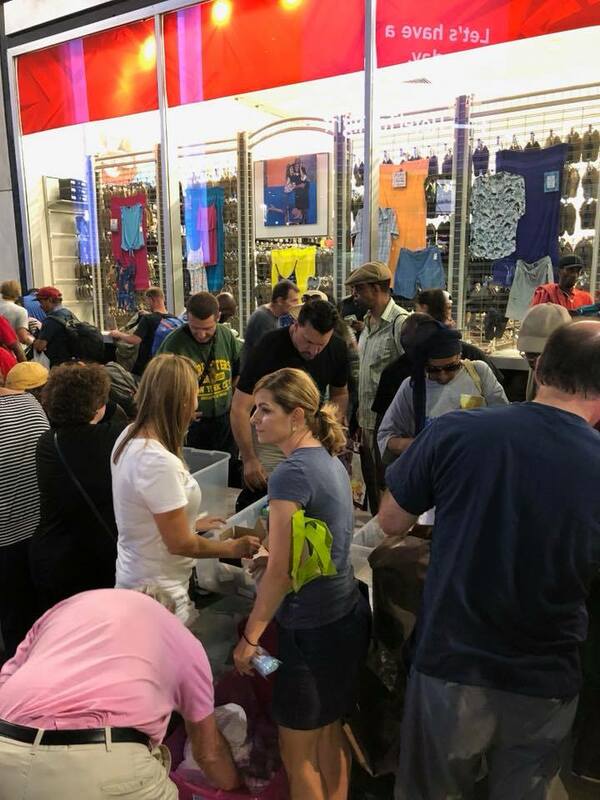 As we were packing up to leave and heard the story of the lost glasses, one of our volunteers looked in their trunk where they had a number of supplies and found a brand new pair of sunglasses. 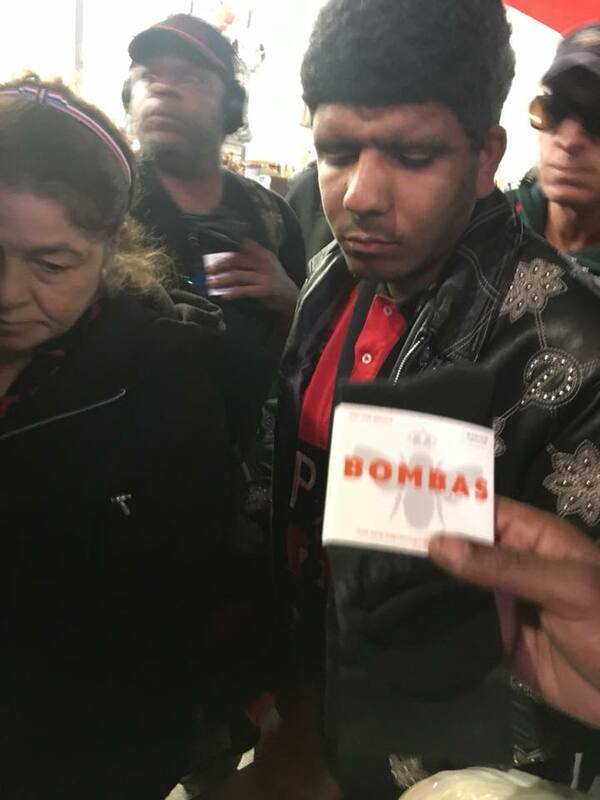 When they gave them to the man in need, he was absolutely stunned, shook hands while expressing gratitude and left us saying “I will never forget you guys”. 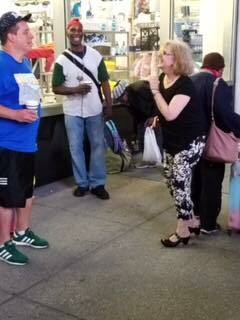 He was one of the many who thanked us and was happy to talk and share stories of the day. We enjoyed the company of many volunteers including our friends from Prophet Elias in Yonkers, business colleagues from Manhattan and Brooklyn, and neighbors. Our front-facing and behind the scenes volunteers, supporters and sponsors make the monthly soup run possible. 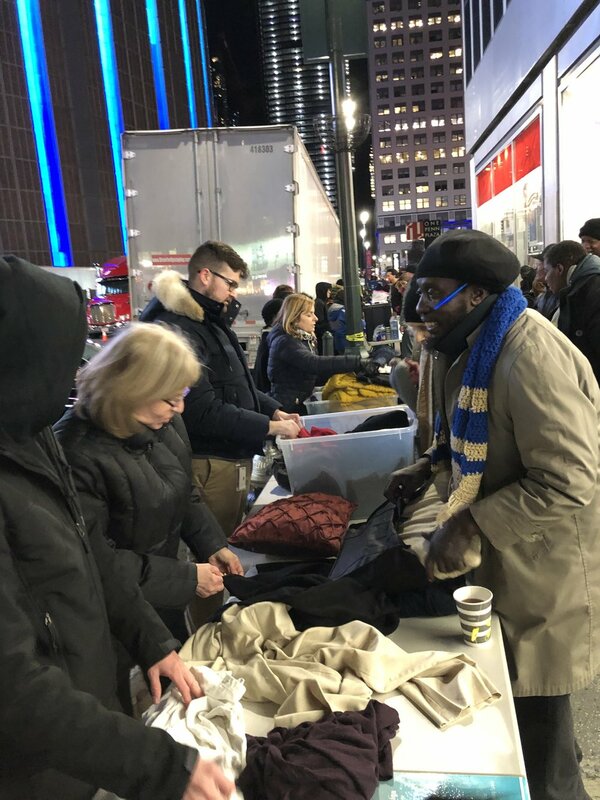 Thank you to Joanne Jackson for sponsoring last night’s soup run, Minos Samoladas for his donation which has enabled us to purchase clothing throughout the year, Manny Louros for making the sandwiches, and the many other caring souls who donated new and gently used items. We could never fulfill this important ministry without these committed individuals and we sincerely thank them for their unwavering support. We are accepting donations of socks, t-shirts, boxers, women's underwear, toiletries, canvas bags/tote bags/backpacks and baseball caps. Please join next month’s soup run on September 27. Happy Labor Day! 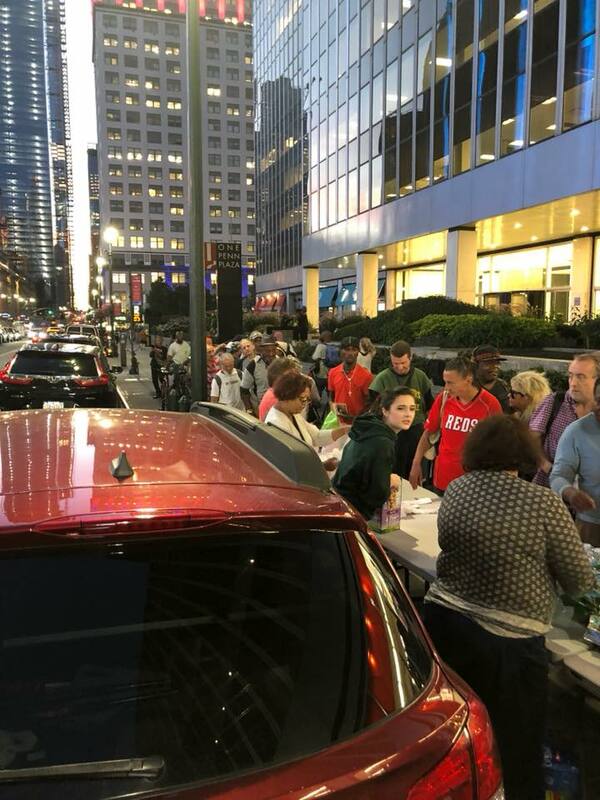 The weather was perfect, the crowd was plentiful and our volunteers were happy to serve our guests on 33rd Street in Manhattan during last night's soup run. We distributed turkey sandwiches, chips, fruit, lots of cold water, juice and coffee. 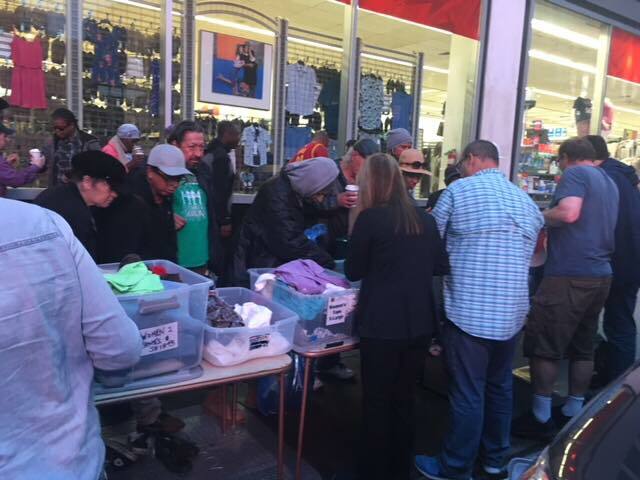 We also gave out clothing items including socks, men's and women's underwear, shirts and toiletry kits. While we thought we had a large supply of clothing, it seemed to be distributed in record time last night. 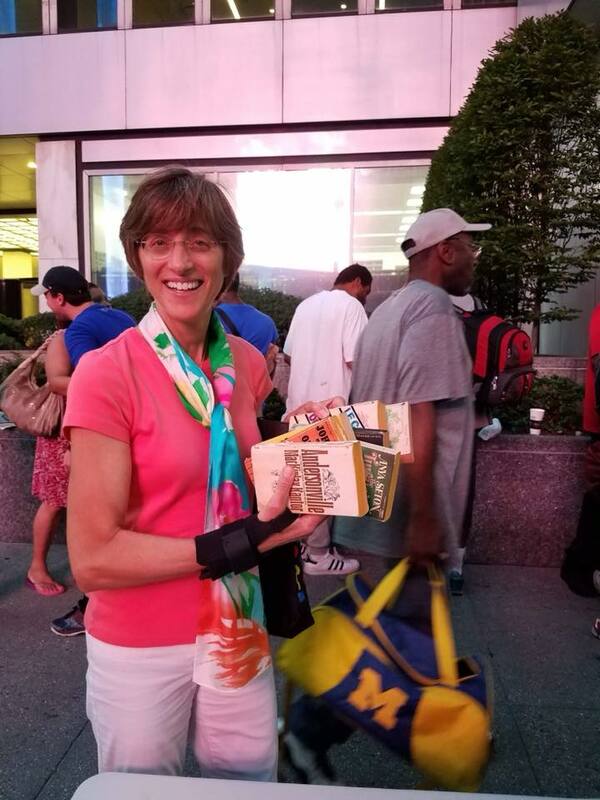 We talked with Wendy, one of our recent regulars, who was splitting half of the food and toiletries we had given her into another bag so that she could take them to a woman who sleeps on the steps of Church of St. Francis of Assisi nearby. We gladly gave Wendy more food and toiletries to take to the woman. Wendy said she is not homeless - she sleeps in her sister's living room after losing her job and apartment. She doesn't have enough money for food and is happy to be able to sleep indoors. There are different definitions of "homeless" - how many of us would not consider ourselves homeless if we slept in someone's living room? Our monthly outreach is made possible through the compassion of so many supporters and volunteers. 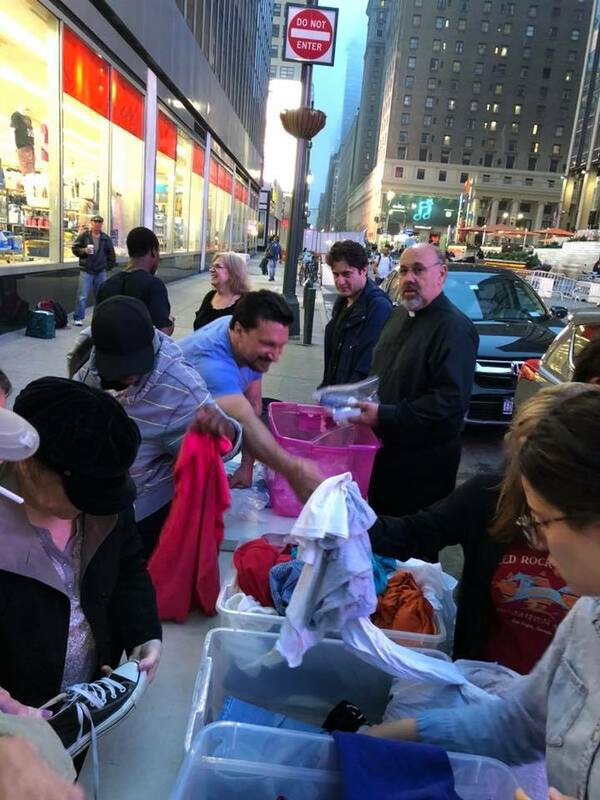 Thank you to Jim and Patricia Mikelis for sponsoring last night's soup run and to the many volunteers who give so generously of their time, talent and treasures: Manny Louros and Zachary Karounos for preparing the sandwiches, Georgeann Mavrovitis for preparing bins of toiletry kits, Kathleen Haverlack Wasser for donating women's toiletry sets, Tammy Mangan for bananas, and Constance Mavrovitis and Cynthia Herzegovitch for organizing the clothing bins. When we reminded one of our guests that we would be back on August 30th, he told us that was a good day for him because his government check will arrive on August 31st and by the end of the month, he will be out of money and unable to buy food. This is why our soup run is at the end of every month - those who receive a government check stretch it as much as they can but the money rarely lasts all month. Donations of socks, underwear, summer clothing, toiletries (save hotel shampoo and soap from your summer vacations!) backpacks/tote bags and re-usable grocery bags are always needed. Please join us on August 30th. 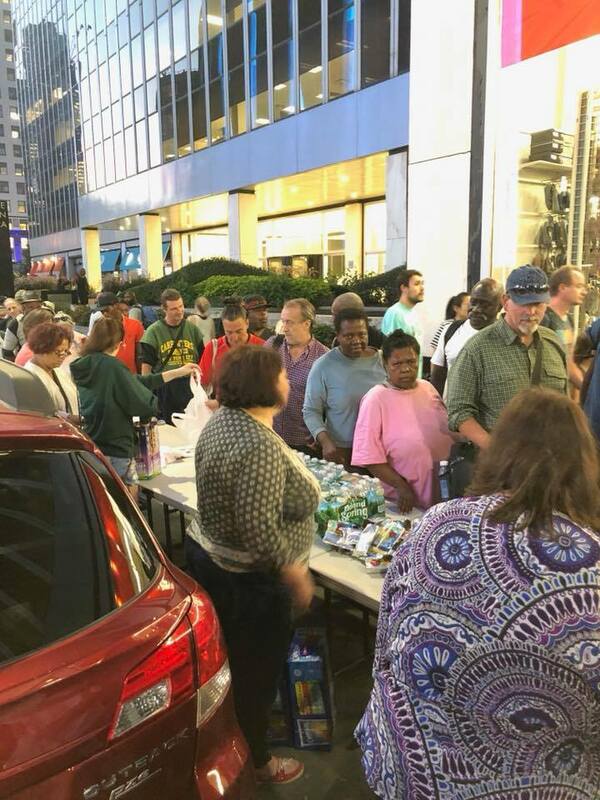 We served 125 chicken cutlet and macaroni & cheese meals in New York City to the sound of live music and a block party just down the street during last night's soup run. The music provided an extra friendly backdrop to our conversations and the help that we provided to our guests. 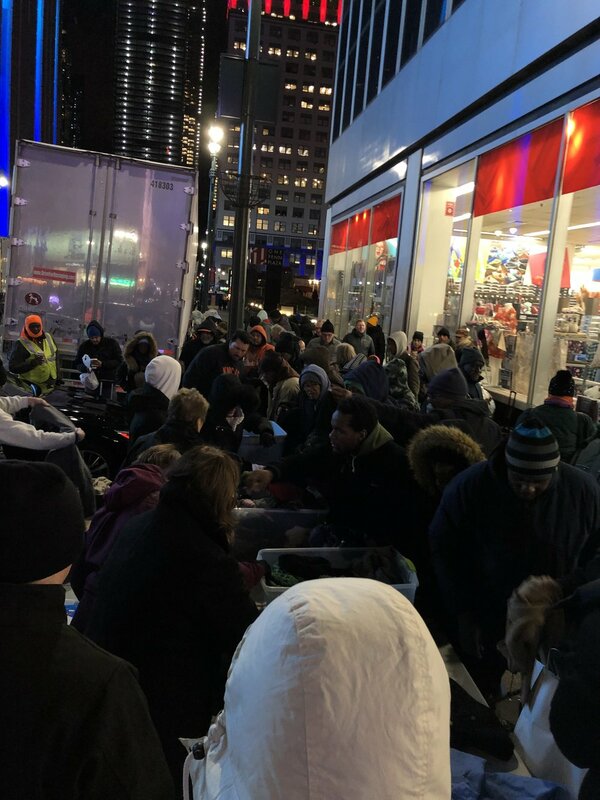 When we arrived on 33rd Street, the line of people waiting for us went halfway down the block. Many of our guests patiently waited for us to set up food and clothing, while others helped us. 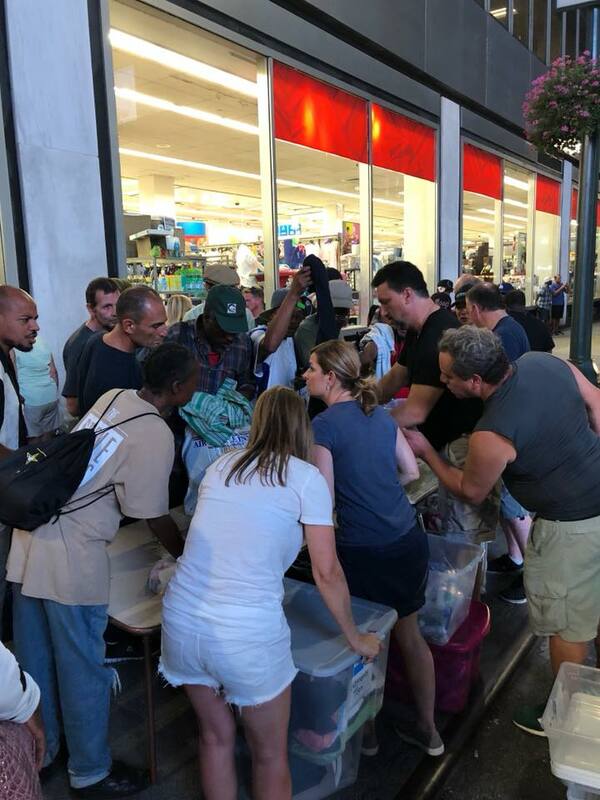 One man said to another, "give the man a chance to give them out" in his effort to assist us with orderly distribution of clothing. 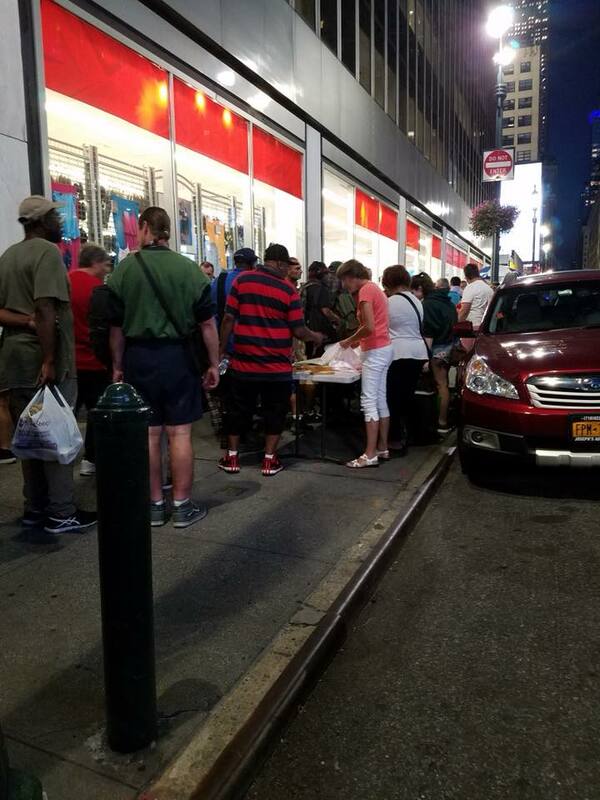 The first six meals we gave out were to a group rushing to make it to a homeless drop-in center for the night before their curfew. We reconnected with Judy, a lovely woman with an art history degree, whom we haven't seen in a year. 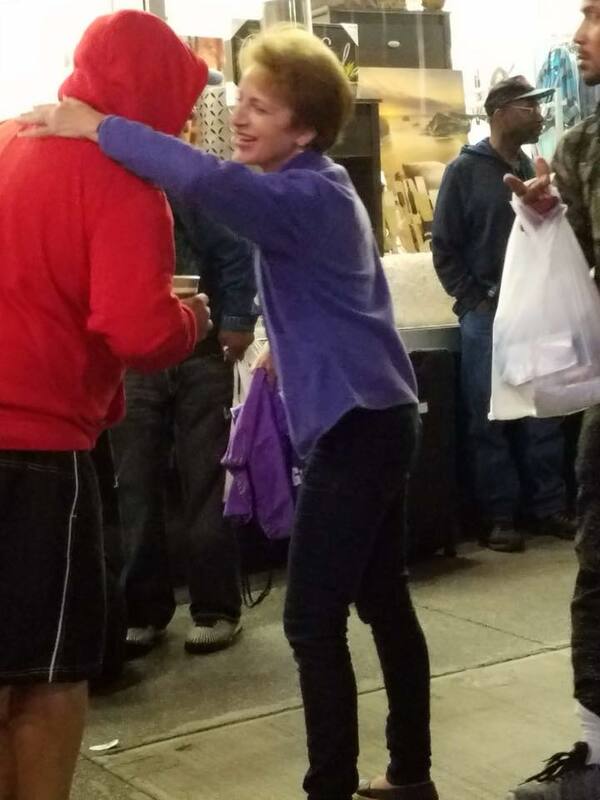 Her partner, Richard, recently passed away from pancreatic cancer leaving her street homeless because she cannot afford the hotel room they had been staying in. Alone, with no family and lost without Richard, Judy was hoping to sleep on the steps of the Post Office last night near another woman she met at the soup run who said she'd look out for her. Judy talked to us about being chased out of a public bathroom yesterday while brushing her teeth and the constant demoralizing treatment she receives as someone who is homeless. The distinction our guests make when they talk about being "street homeless" is a stark reminder of their dire circumstances. We also met a man who accepted a shirt in a size larger than he needed while we looked for one that was his size. He asked if he could hold on to it and then exchange it once we found his size, just to make sure that he had a clean shirt. When we found his size, he returned the larger shirt so that we could give it to someone else. Those we serve and see on a regular basis have come to trust us. 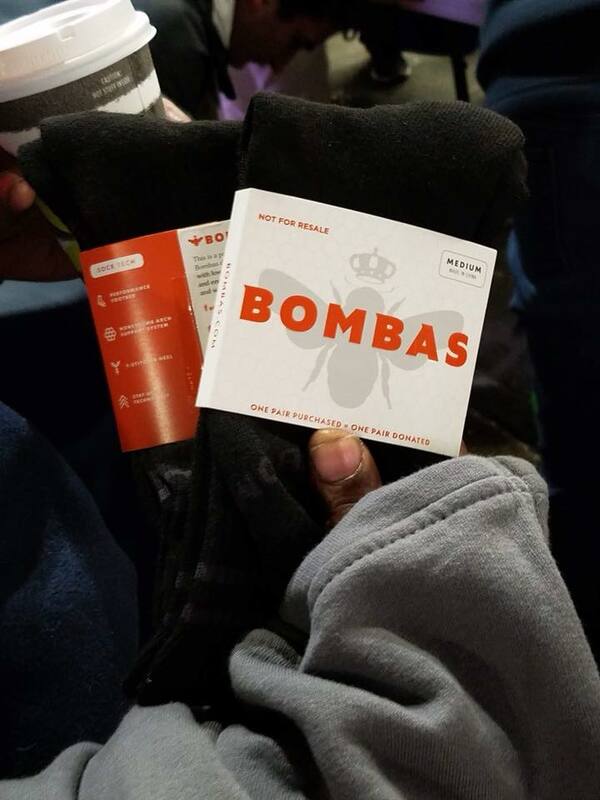 One of our volunteers told a man that she would bring him socks that Fr. Patrick went into the store to buy. When she brought the socks to him, another man said to him, “When she tells you she’s going to do something, she’s going to do it. She’s one of the flock." Did he mean "one of the flock" in the biblical sense or that our volunteer was one of them? Either way, we appreciated the comment. 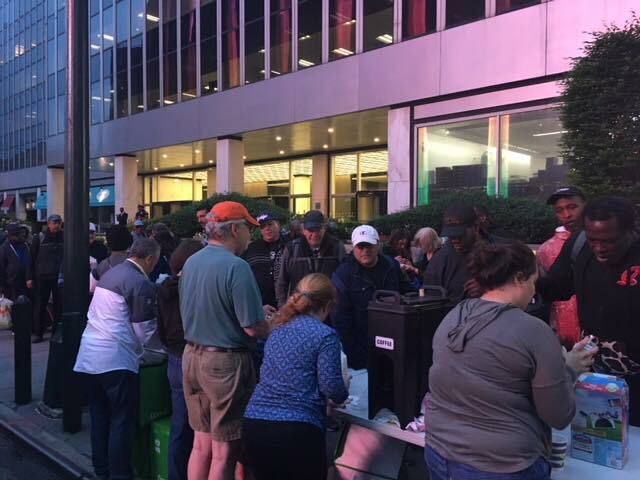 Whether it's the volunteers who serve on the street, those who work behind the scenes to organize, or the many supporters within and outside the Holy Trinity community, the monthly soup run is a labor of love and compassion. 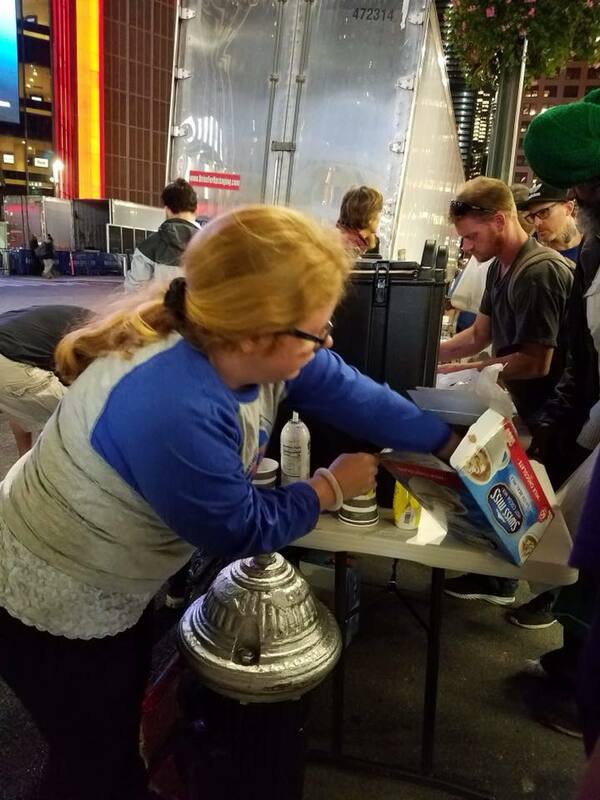 We are grateful to so many, including the sponsors of last night's soup run, Peter Allen and Elena Stavrakas, Minos Samoladas for his donation, Manny Louros, Zachary Karounos and Kelly Sisco for cooking, Peter Pappas for bags of bagels and Fr. Patrick for his presence and purchase of socks and underwear. We will miss Fr. Patrick when he moves to Utah at the end of July. We know our guests will miss him too, particularly when you see the warm welcome he receives when a guest calls out to "Padre" as one did last night. There are never enough sneakers, shoes, socks, underwear, backpacks or tote bags to go around. Any donations of these items are appreciated. Please join us next month on July 26th. 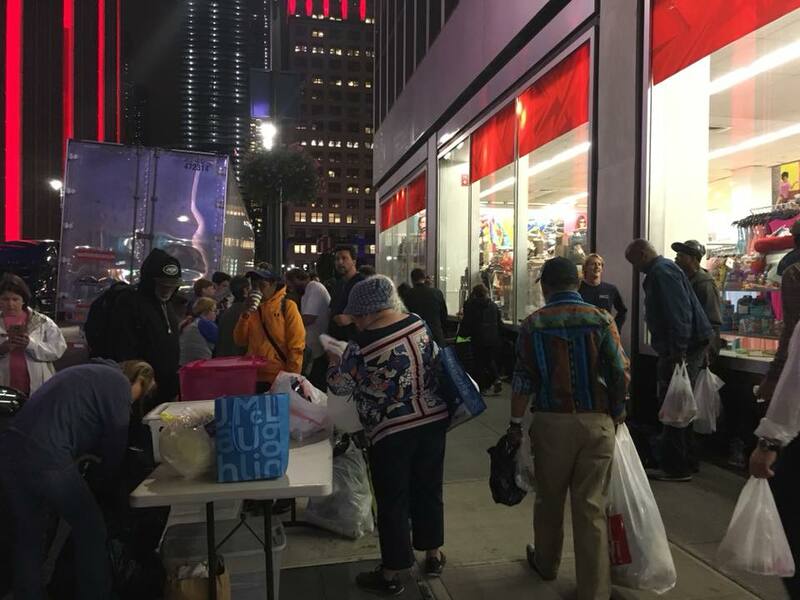 When we arrived at 33rd Street in Manhattan for last night's soup run, a long line of hungry souls was waiting for us. With the help of some of our guests, we unpacked our food and clothing, set up tables and began serving. A few guests asked for a second meal - for themselves or for a friend who was in another location watching their belongings. We are always happy to provide as much food as anyone wants and try to feed everyone who is in need. Sadly, last night after all of the meals were distributed and we had packed our cars, a man approached and asked for food. All we had was a granola bar and a bottle of water, which he gladly accepted. We met a number of new individuals as well as some whom we see every month. 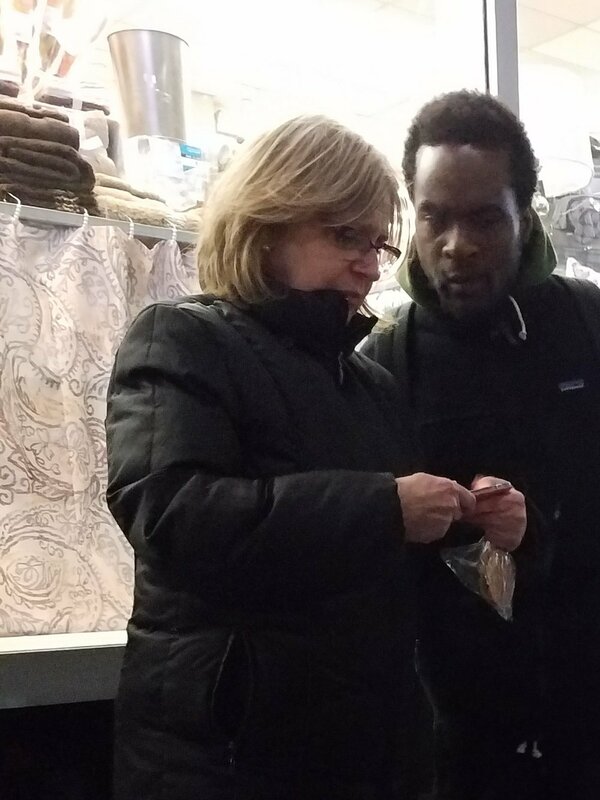 A Canadian tourist stopped by to talk and was so touched by our service that she joined us in distributing clothing. We heard more "God bless you" comments than usual from those we served, thanking us and expressing their gratitude. 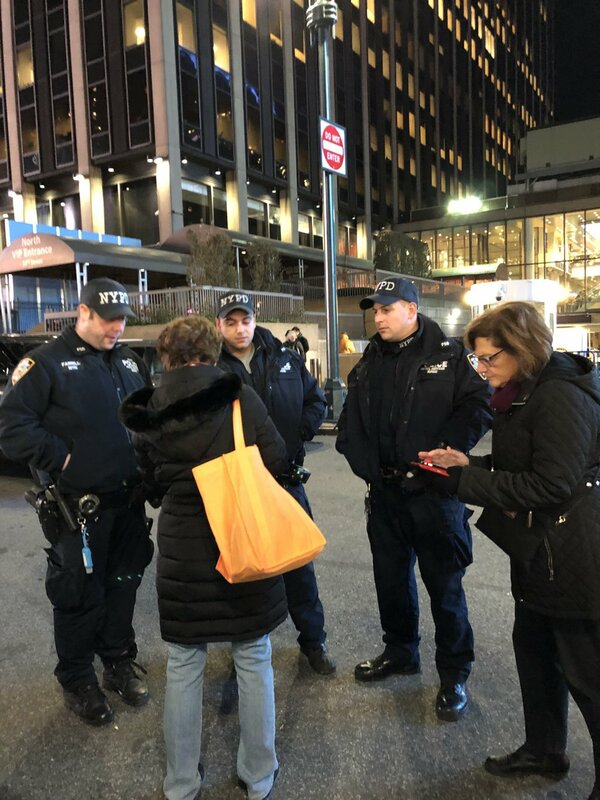 A man stopped by to learn about our ministry and said he runs a non-profit that helps homeless individuals get back on their feet by setting up P.O. boxes for them, providing cell phones and other items. The monthly Soup Run is made possible through the compassionate and generous support from so many including this month's sponsors, Stephanos and Helen Alexiou, Minos Samoladas and the volunteers who work behind the scenes to make it all come together. 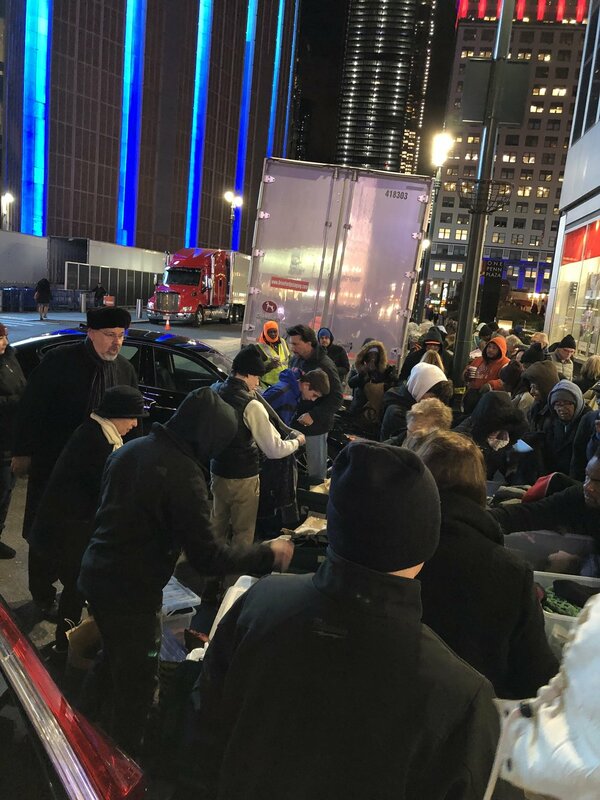 Thank you to Manny Louros and Zachary Karounos for preparing the chicken, rice and vegetables and everyone who helped pack and transport the meals and a dozen bins of clothing and toiletry items. We are collecting tote bags, canvas grocery bags and backpacks. Drop off new or gently used bags and we will distribute them next month on June 28th. Please join us. 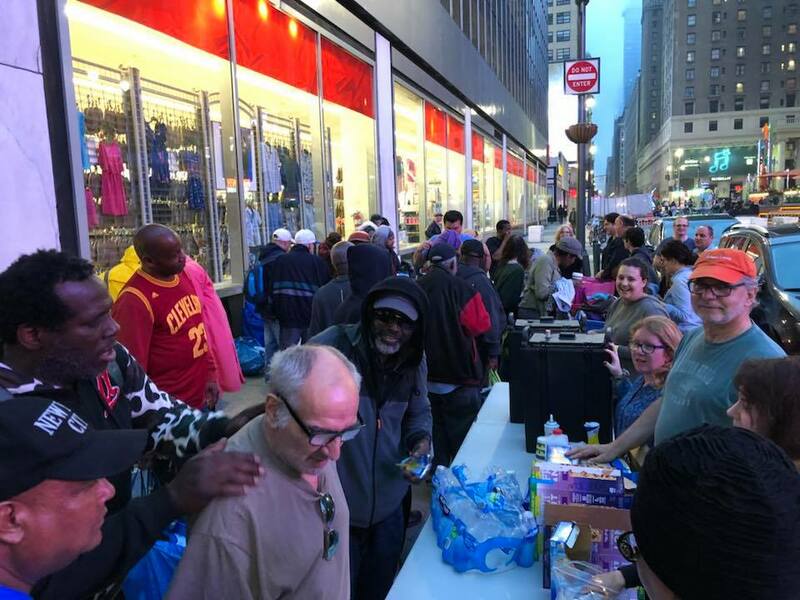 The welcomed spring temperatures brought out many to Last Night's Soup run in Manhattan where we served more than 125 hungry and homeless. Pasta and meatballs were on the menu and some commented that they were the best they had ever eaten. One guest remembered our serving "Greek lasagna" and said that was his favorite meal! 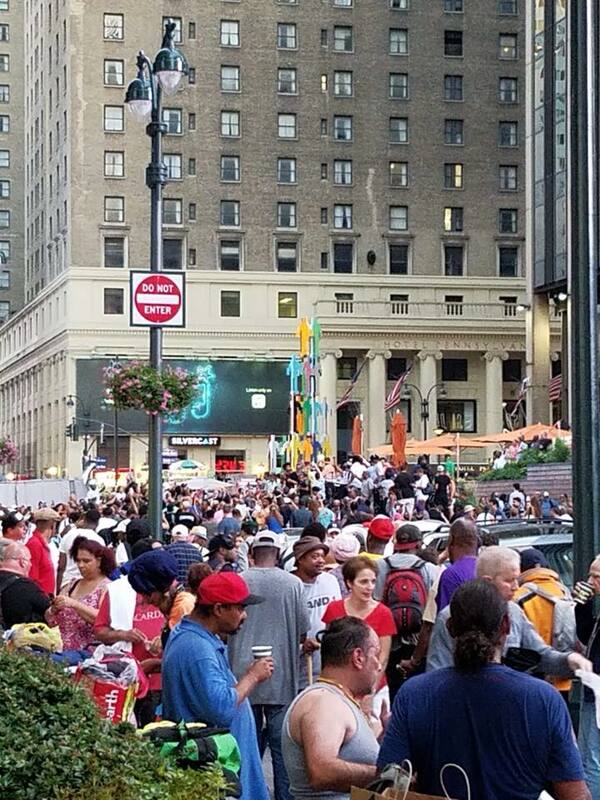 When we arrived at our spot on 33rd Street, our guests were lined up all the way down the block. They patiently waited for us to set up our tables of food and clothing and were happy to receive a hot meal. One man asked for extra meals so that he could "get through the weekend". We witness a broad spectrum of personalities and actions from those we serve - some troubling, some heart-wrenching and some kind-hearted. Last night was no different. Some guests came back to us after taking a couple of clothing items and returned an item that they decided they didn't need so that someone else could have it. 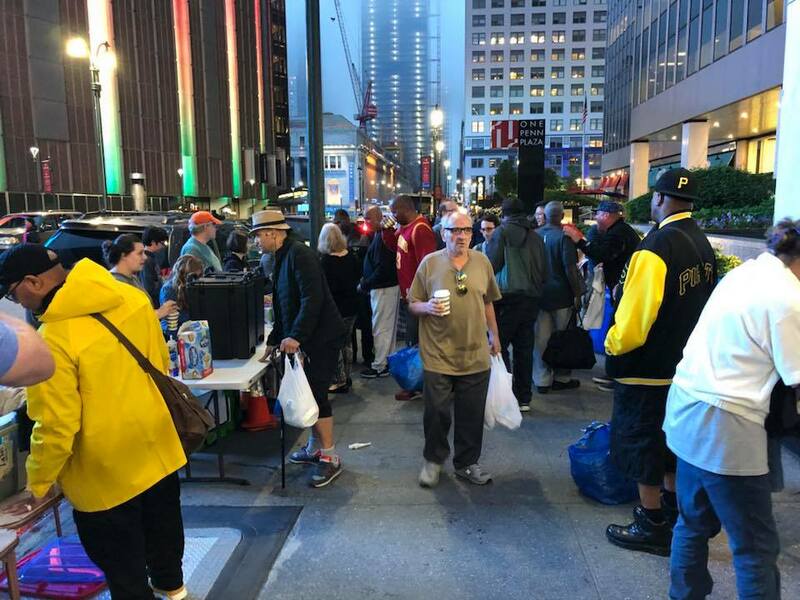 "Magic", telling us he wanted our area on the street to be left cleaner than when we arrived, was gathering up the empty food containers and throwing out the trash in garbage cans. Another man said he "heard about us two months ago" and was happy to finally meet us and enjoy our meal. Sometimes we run out of food and clothing because we have served so many and other times an extra item seems to materialize out of nowhere just when it is needed. Last night, even though we served the last meal, guests kept approaching our tables asking for food. Thankfully, we at least had bagels, granola bars and fruit to give. And then, toward the end of the evening, a large man asked us for any clothing we might have for him. 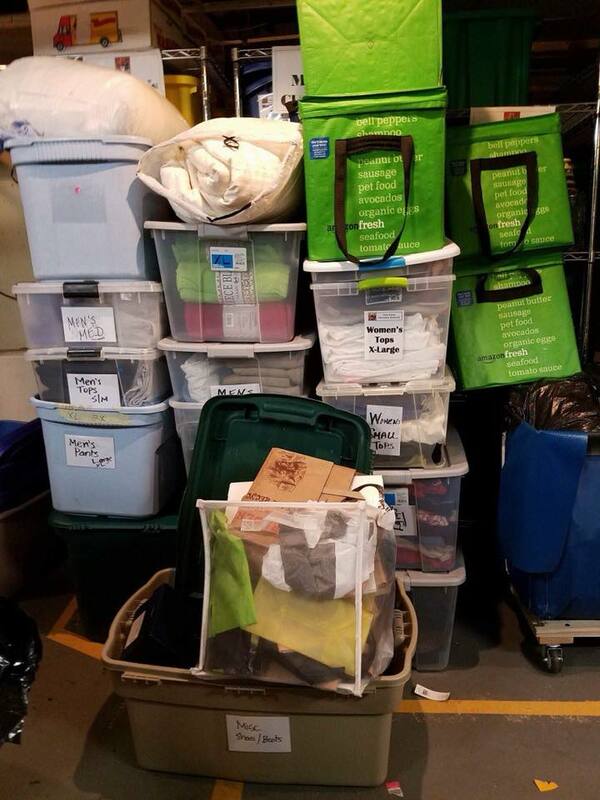 All of our bins were empty but one - it contained an extra large jacket and pants! That was all we had and it was meant for the man. 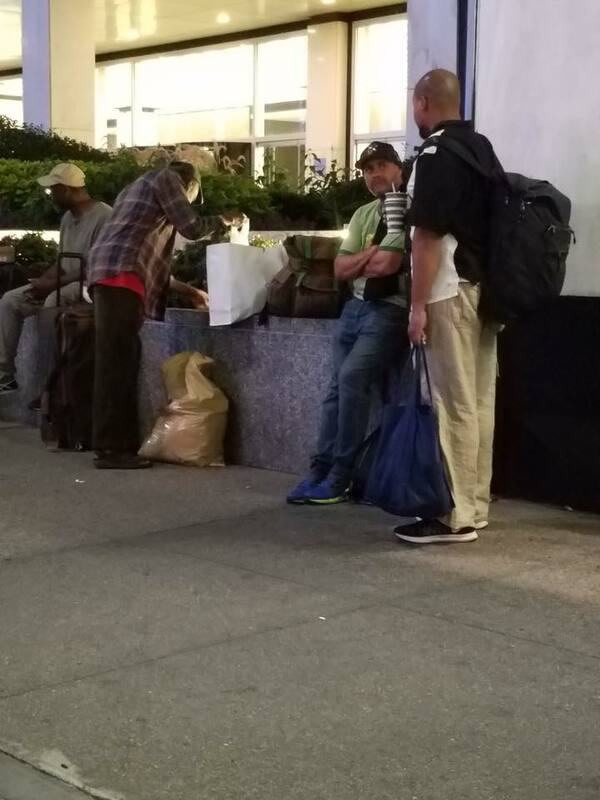 We distributed a handful of remaining blankets when another guest said the only thing he needed was a blanket. One of our volunteers removed the clean moving blanket lining his car trunk and gave it to the man. Talking with our guests and engaging them in conversation to learn about their lives, hear about their problems and simply listen when others may not are the simple things that our volunteers do that are so special. Deacon Simon and Seminarian Cornelius talked, laughed and listened to so many last night. Our amazing group of volunteers, supporters, and sponsors make the monthly soup run possible. 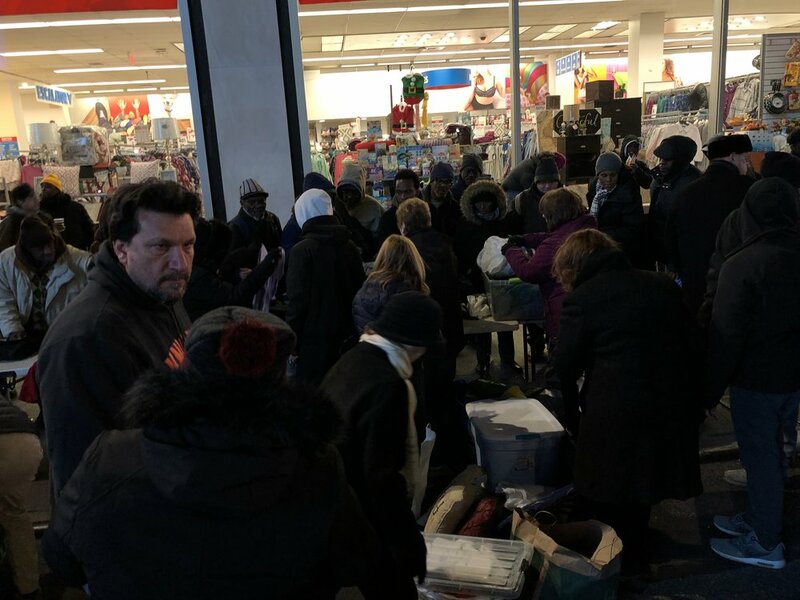 Thank you to Cleo Canelos for sponsoring this month's soup run, Manny Louros and Kelly Sisco for preparing the meals, Minos Samoladas' monetary donation which enables us to purchase clothing, Peter Pappas for dozens of bagels, Deb Van Der Hayden for the clothing donations, the Philoptochos and the entire Holy Trinity, New Rochelle community for all that you do. Please join us on May 31.